Secrets Maroma Beach Riviera Cancun is one of multiple leisure brands owned and operated by Apple Leisure Group. 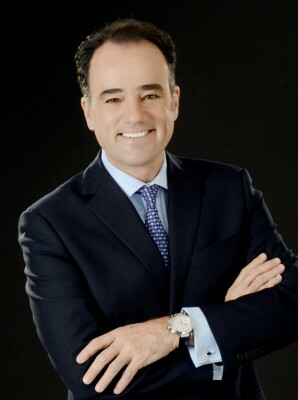 In September of 2013, signed contracts in hand, Alejandro Zozaya stood at the helm of an empire. His company, Apple Leisure Group (ALG), one of the largest players in the travel industry, had just completed its acquisition of CheapCaribbean.com. The sixth subsidiary in a network serving 1.6 million guests each year, it was another step in Zozaya’s nearly vertical 12-year climb. In 2001, Zozaya founded AMResorts, a hotel brand management, sales, and marketing company. He was already a respected expert in the travel and hospitality arena. Over a decade later, Zozaya spearheaded the effort to form the Apple Leisure Group conglomerate by making sister companies of AMResorts and Apple Vacations. The two were a natural fit. “I knew a few things about the US high-end market, where AMResorts and Apple Vacations both had good market share,” says Zozaya. “I knew we could work well together.” At the base of the group, AMResorts boasts a family of picturesque properties marked by award-winning amenities. Today, the company’s portfolio holds 37 resorts. Apple Vacations channels business to those resorts and others through booking and reservations. Zozaya has further nurtured the endeavor by adopting a vertically integrated business model. The fruits of that strategy, ALG’s large distribution network combined with property management and marketing, have earned the group an impressive market share: 12 percent of all American tourism to Mexico and the Caribbean. Following an influx of equity after Bain Capital purchased a stake in the company in late 2012, Zozaya spent much of 2013 developing Apple Leisure to meet guests’ every need throughout the travel life cycle, from booking to destination. The acquisition of B2B tour operator Travel Impressions from American Express (which included American Express Vacations) and online leisure wholesaler, CheapCaribbean.com, created a distribution trifecta. Rounded out by destination management company Amstar dmc and the exclusive Unlimited Vacation Club, Apple Leisure Group emerged a unique brand focused on serving upscale North American travelers with more value, sophisticated products, and elegant experiences. After Zozaya reached a summit in 2013, he wasted no time constructing a higher one. Not content with $3 billion in annual sales, Apple Leisure Group is riding the wave of growth through 2016 and beyond. In 2014 ALG announced plans to incorporate 10 new resorts—a rate of growth greater than 20 percent for the year. Zozaya is taking the company deeper into Central America and looking to expand into even more exotic places. Most recently, AMResorts announced plans to open in Panama, but the move has been years in the making. The company placed its scouts in the region in 2007, working with developers and government leaders to ascertain infrastructure and explore potential. Zozaya has helped Panama reposition itself as a vacation destination and convinced city planners and managers of other regions to add supermarkets, airports, and other infrastructure that makes development more attractive to investors. The CEO travels frequently to regions of interest to meet with ministers of tourism and even presidents of countries to discuss development plans. Other top priorities include Costa Rica, Nicaragua, and even Haiti. 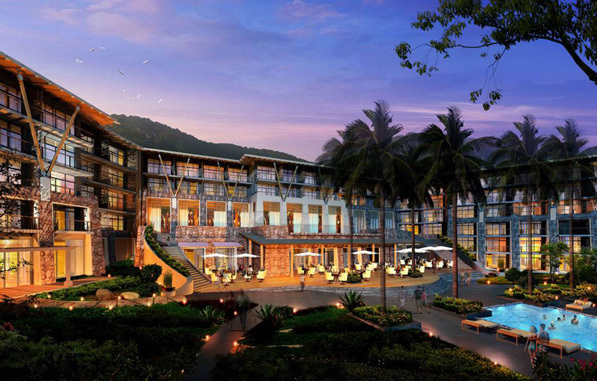 Dreams Las Mareas Costa Rica is one of Apple Leisure’s newest properties, opened in November of 2014. Zozaya looks for locations that appeal to American customers, are accessible by flights of less than five hours, and that he believes can support development. In some countries, ALG has distribution (booking and reservations) but no AMResorts-branded hotels. In others, it may have hotels but limited distribution. If nothing exists, the company considers building from scratch to create destinations when its goals are aligned with those of governments and other developers. Sometimes, building interest is just a matter of marketing. Although Panama is just south of tourism hot spot Costa Rica and has similar weather and landscapes, Panama never developed its beaches. Zozaya’s teams have worked with officials to improve outreach efforts and are developing their first hotel in the country, Dreams Buenaventura Panama Resort & Spa, scheduled to open in 2016. Apple Leisure Group is succeeding because it has been willing to take risks where others are hesitant. “We have developed best practices that we can apply if we see that the ingredients are right for us to enter a new market. Others tend to wait to see if ALG can do it before they take action,” says Zozaya. The vertical business model allows ALG to move forward with internal travel agents and marketing efforts while delivering a strong and consistent product. In doing so, ALG is introducing Central America and other underexplored regions to travelers throughout North America. For the business that sells leisure, there is no rest in sight. Zozaya’s continued ascent with ALG shows no signs of stopping, but as he climbs higher, the view from the top only gets better.